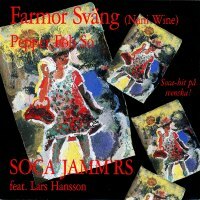 This Swedish version of Crazy´s Nani Wine was on the Top Ten Billboard List in Trinidad & Tobago 1991! Buy this album at major download stores here! These songs are bonus track in the download version of Soca Nation album.